While garage doors may secure a home and protect one’s vehicles from destruction, problems arise when garage doors malfunction. The size and weight of garage doors can pose serious safety hazards to people who operate them. A 2007 NEISS Hospital Study found that over 13,000 people suffer from injuries as the result of garage door accidents every year. Garage doors can cause people to suffer from limb amputations, falls, and other serious hazards. Rosenfeld Injury Lawyers LLC is committed to securing the most favorable recovery for people injured in accidents involving garage doors. Garage doors can cause accidents due to a lack of knowledge in regards to their operation, poor installation or even design defects. The typical garage door weighs anywhere between 300 and 600 pounds. When a garage door collapses on a person, he or she can suffer from severed limbs or a severe concussion. Most accidents are caused when a person’s fingers, joints or extremities are caught in between garage doors. There are an estimated 7,557 people who suffer from amputations when their limbs are pinched or crushed in between garage doors. Over 2,100 people suffered from injuries as a result of a sliding garage door. An automatic garage door tends to cause accidents in young children. A young child may be injured if they are hit with a garage door that automatically collapses on him or her. It is vital that one ensure precautionary mechanisms are installed in automatic garage doors and also can fully function. Those who own homes with automatic garage doors should make sure that they have appropriately installed garage doors with safety mechanisms. If you suffer from an injury after opening a garage door or otherwise, then you should seek medical help as soon as possible. It is essential to make sure that your injuries are documented if you pursue a claim against the manufacturer or landowner. Determining who may be liable is often the most critical aspect of one’s legal case. It is crucial to file a lawsuit against the appropriate party if a garage door causes your injuries. If the door is not defective but was improperly maintained, then it may be proven that the landowner owed a duty of care in your case. This responsibility can arise in incidents involving “invitees” and “licensees,” which are terms of law used to describe the legal duties owed when you are on someone else’s property. If you are visiting another person’s property for social reasons, then the landowner owes a duty to warn and also make necessary repairs to protect you from dangerous conditions. This legal responsibility means that a landowner may have an obligation to tell you about a garage door that has not been repaired and may also need to make the necessary repair before you use it. If you are on another person’s property to conduct business, then a landowner will still owe you a duty to warn of any dangerous conditions in regards to a garage door. 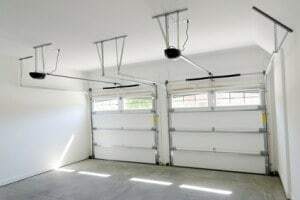 In the case of a conventional garage or rental unit, landlords and property owners have a similar responsibility to maintain their premises safely including regularly inspecting the premises and complying with building codes applicable to the installation of garage doors. When landlords fail to comply with these regulations, they expose themselves to liability when a person becomes injured. If you were injured by a garage door on your property, then you still may be able to file a lawsuit. You may be able to pursue a products liability case against the manufacturer or installer of the garage door. If the manufacturer sold you a garage door that was unreasonably dangerous and contained a product defect, then it will likely have to pay you compensation for your injuries. Courts will assess a variety of factors to determine whether you can claim compensation in a products liability case, such as whether you are a proper plaintiff, whether the garage door contained a design defect or manufacturing defect, whether you suffered any injuries, and whether the defective garage door caused your injuries. Unless you were misusing a garage door or altered it in some way, you should be able to recover damages under a products liability theory. Determining how or if to proceed with an injury claim related to a garage door accident is a difficult decision. Rosenfeld Injury Lawyers LLC is committed to securing the best possible outcome for each client. If you were injured in a garage door accident, we invite you to discuss your legal options with our team. We will provide you with an honest assessment of your case and legal options. Talk to us anytime.